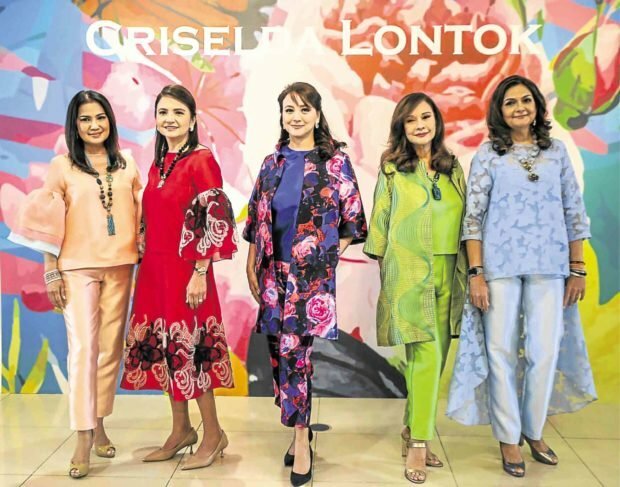 Attending a Criselda Lontok fashion show is a veritable education on the who’s who among Manila’s women: the social set, the stylish set, the moguls’ wives, and some moguls, ages 50-70. One can expect this of a Criselda show, whose clientele has matured with this design icon over the decades. Ninety percent of the crowd are her friends; the rest want to be her friend. All of them shop in her store on the second floor of Rustan’s Makati’s. Her store has become an institution of sorts for women of a certain age who want to look a certain way. That, at least, was what Criselda’s brand was traditionally about. In the last couple of years, however, she has begun designing apparently with women of all ages in mind. Her summer collection last week had a youthful appeal. A long, black dress with pink ruffles at the bust, in an off-shoulder style, was beautiful for those with the right figure. Its back had ruffles cascading down in a V to reveal a lot of skin. One gown was a fantasy, with a beaded bodice of multicolored fabric to remind you of the colors of the sea and greenery. It had a mesh insert to again show off the back. While these were dresses you could imagine on a younger woman, the rest of the collection traversed looks for all ages. Bell-shaped sleeves could flatter any figure, and cuts of blouses were reminiscent of the time of Cristobal Balenciaga, with shapes structurally angled away from the neck and torso. Criselda also showed swing capes and dresses of all lengths. This collection wasn’t just about revisiting familiar years—reinvented and updated—but also about clean lines in a tailored jacket with feathers and simpler loose tops. The show featured Criselda’s latest brand ambassadors, Linda Ley (who co-hosted the event), Yoli Ayson, Lilibeth Campos, Suzette Hahn-Lopez, Ruth Rodriguez and Gina Mohnani. Some of the floral ensembles the women wore were must-haves, especially Hahn-Lopez’s blue coat and pants. Match with a white tee and you’re good to go.